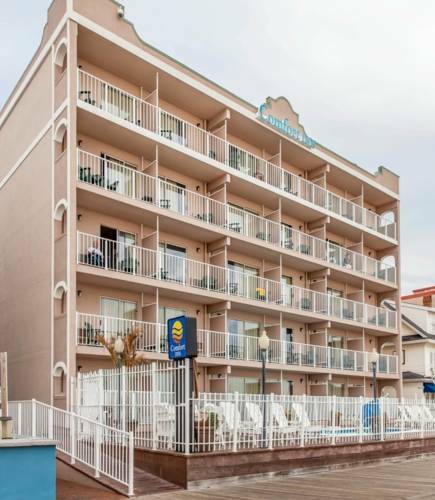 Rest and refresh at the Comfort Inn Boardwalk hotel in Ocean City, MD. We give our valued guests easy access to OC Convention Center, OC Factory Outlets and OC Municipal Airport. Amenities include free WiFi, free parking, free hot breakfast, indoor heated pool and beach access. Behind every great day is a great night in your guest room, which features a refrigerator, coffee maker and hair dryer. Also, earn rewards including free nights and gift cards with our Choice Privileges Rewards program. ~32 miles from Ocean City. ~42 miles from Ocean City.